For hundreds of years, American poets have presented their various images of the land and its people. But what is “American poetry?” Is there truly such a thing as an American poetic tradition, spanning over nearly four centuries from colonial times to the turn of the millennium? 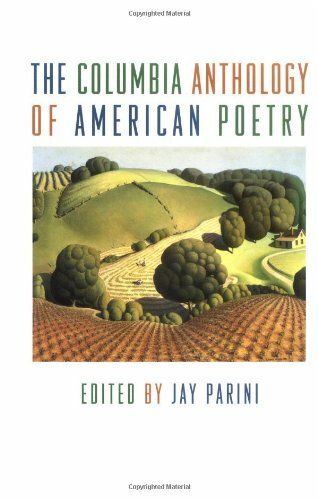 In The Columbia Anthology of American Poetry, Jay Parini, a respected American poet and critic in his own right, offers an authoritative survey of the elusive category that is the poetry of the American people. The Columbia Anthology of American Poetry covers all of the canonical American poets, from the colonial to the contemporary-Anne Bradstreet, Walt Whitman, T.S. Eliot, Ezra Pound, and Adrienne Rich are all included. But Parini has also selected a broad sampling of poetry from voices that have been heard as widely over the years. Here, for the first time, is a thorough collection of nineteenth- and twentieth-century poetry by women, Native American, and African Americans. Within these pages readers will find the many different traditions that make up the expansive collage of American poetry. Here are the Transcendentalists-Ralph Waldo Emerson, Margaret Fuller, and Henry David Thoreau; and the Imagists-William Carlos Williams, Amy Lowell, H.D., and Carl Sandburg. Readers will discover also the early twentieth-century movement of African-American poetic expression, known as the Harlem Renaissance-James Weldon Johnson, Countee Cullen, Gwendolyn Bennett, and Langston Hughes are all solidly represented in The Columbia Anthology of American Poetry. Jay Parini’s introduction deftly guides us into the rich tradition of poetry in our country. Whether in search of a well-known classic or a poem that is not yet considered part of the American poetic tradition, readers will find much to enjoy in The Columbia Anthology of American Poetry.